Benchtop water coolers make a fantastic addition to any home or business. Having delicious tasting cool water readily available is more likely to encourage you to maintain proper hydration and improve your overall health. However, benchtop water coolers are available in numerous different sizes, so how do you determine your particular requirements? 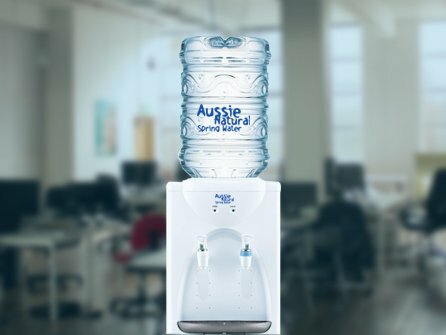 One of the primary attractions of a benchtop water cooler is that they tend to take up very little space. This compact nature makes them perfect for confined or limited spaces. You can place a cooler in smaller kitchens, caravans and basic offices spaces, where a larger design of cooler would not be viable. However, you will still need to assess how much space you have available. If you are planning on putting the cooler on a worktop in your small kitchen, you may need to make some sacrifices on what items need to move into a cupboard or drawer. Small units can offer litres of cooled water will a footprint of less than fifty centimetres squared. Most models of cooler use a bottle ranging in size from 3.1 to 4.2 litres. However, there are also models available that can be connected to your water supply eliminating the need for bottles. The plumbed model will have less location flexibility and a higher initial cost, but you won’t need to have refill bottles. Larger units of four litres and above will have a greater cooling capacity compared to a smaller model. A small model may only be able to cool one litre an hour while a larger unit may offer double this rate. This will be a consideration if you have more than a few people using the unit and needing a larger volume of water in a typical hour. You will also need to consider the refill commitments of the your chosen company. Some companies offer discounts for larger contracts, but you could end up with excess bottles you are not using. However, if you commit to a smaller refill contract, you may end up paying more if you need additional bottles. Some companies offer flexible arrangements or offer free bottles in the first month, so you can have the time to accurately assess your requirements. A good rule of thumb is that most adults require at least two litres of water per day. This will obviously increase in hotter summer temperatures. For example, if you are looking for a unit for your home and you have five people in the household, you will need roughly a ten litre per day capacity. Companies will need to estimate the average water consumption of their employees to determine the water volume requirements. Just remember that it is better so slightly overestimate, as dehydration can significantly impact productivity. If you need assistance determining the right benchtop water coolers to suit your needs, speak to us. 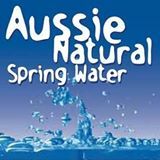 We specialise in benchtop water coolers for home and business use. Our team can assist you in finding the unit best suited to your needs.